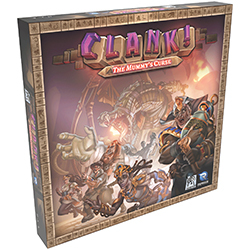 Renegade Game Studios and Dire Wolf Digital will release a new expansion for Clank! A Deck Building Adventure� in March. Clank! 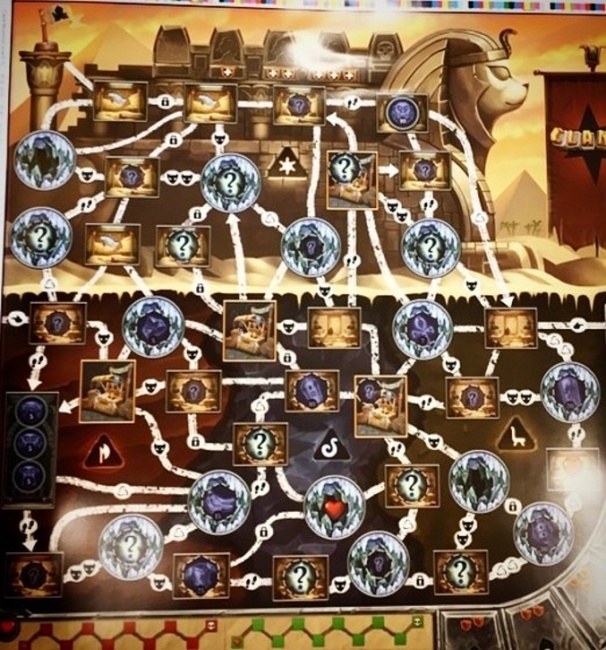 The Mummy�s Curse introduces a new pyramid-themed board with new monsters and challenges to face. The expansion adds a wandering mummy who spreads a curse on those attempting to steal treasure from the pyramid. The treasure has also attracted a dragon, the fearsome Croxobek. Clank! and Clank! In! Space!, co-published with Dire Wolf Digital, have collectively been Renegade�s most successful franchise over the past year. This adds a second expansion to the base game released in 2016. The first expansion, Sunken Treasures, was released last March (see �Renegade Reveals First �Clank!� Expansion�). Renegade also released a new stand-alone game, Clank! In! Space!, last fall (see �In Space, No One Can Hear You� Clank!�). Clank! The Mummy�s Curse is for 2-4 players 12 years old and up, and plays in 30-60 minutes. Box contents include 1 Double-sided Game Board, 40 Dungeon Deck cards, 2 Ankh tokens, 1 Dragon Marker, 1 Mummy Card, 1 Pyramid Die, 1 Mummy Marker, 2 Major Secrets, 2 Minor Secrets, 1 Supreme Monkey Idol, 1 Market Board, 24 Curse Tokens, and Rules Sheet.